Friends, Romans, Countrymen- give us your Junk!!! 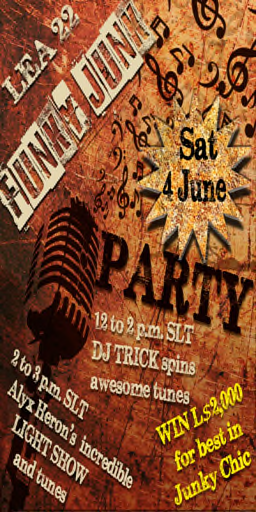 Come on over to LEA22 - Funky Junk - on Sat 4 June 12-3pm. DJ and AMAZING light show. Love to see you there and please spread the word!